To perform successful meetings, we developed the I.M.P.A.C.T. formula to help you remember what’s essentially needed for successful meetings. A lot of meetings end up without tangible results and still take longer than planned. And sometimes people even ask themselves why they were invited at all. The good news is: It is in your hands to change that. With a few hacks, you can perform successful meetings with results and keep the schedule! 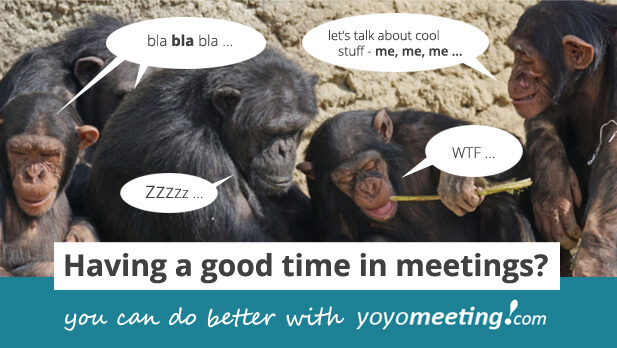 The bad news is, you need to change your meeting habits of how you have done meetings before. That requires self-discipline and persistence. Habits do not change overnight! But to make it a little easier for you and give you a way of communicating what you need from your peers, use the I.M.P.A.C.T. formula to conduct successful meetings. 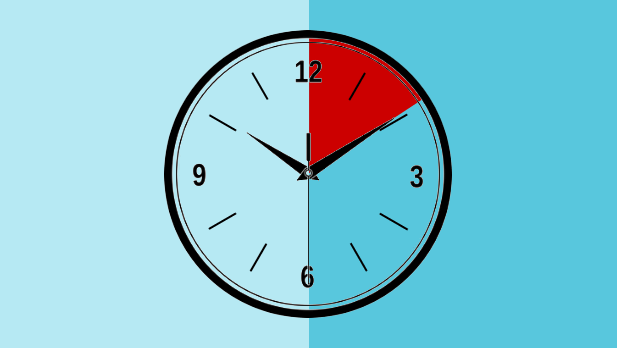 In the moment you are scheduling your meeting, think about who is really (!) needed for whatever you want to decide in the meeting. Less is more! Having the wrong participants in your meeting spoils the experience for everybody else. And even worse, you will get caught up in a lot of knock-on effects. Bored participants will fill their time by taking out their smartphones, they will bring up aspects more important to them than to the topic discussed and so on. Advice: keep the crowd small to get better results in your then effective meeting and avoid after effects! Skip taking detailed meeting minutes. Hardly anyone will read the prose anyway and work their way through the clutter to get down to the decisions and tasks relevant for them. Constrain yourself to record decisions, core information and outcomes. That way, the meeting minutes will be done in no time and with the right tool even finalized during the meeting itself. That’s effective! You know the head down syndrome. Things get boring and heads go down on the smartphone screens. Take it as a sign for either not having the right participants invited or question whether your meeting was really needed to get a decision. But when your meeting is important, and you have invited the right people, there is no reason for anyone to look on their smartphone every minute. If you have set it right, there is nothing more important than whatever is discussed in your meeting. The classic and most important item of the I.M.P.A.C.T. formula for successful meetings. A meeting without an agenda (provided beforehand with the meeting invitation) is way less productive. When you surprise your meeting participants in the meeting with what you want to talk about in depth, people will be overwhelmed, caught on the wrong foot and not able to contribute soundly. Given, the participants received the agenda beforehand and know the details about each topic, they can form an opinion or do some research before the meeting starts. This will produce great results in the meeting, help keeping the schedule and the crowd focused. In most meetings other issues come up during discussing the planned topics. Some of them are just nice stories, but some are important and need further discussion or decisions to be made. Instead of spending your time on issues you cannot bring to a decision anyway, just put them on a list and assign them to a participant to take care of it until a defined due date. Otherwise, you will bust your timing! Advice: Introduce a list of side issues to perform more successful meetings. Every agenda topic needs to be finished with the question: “Who does what until when?”. Take down the tasks and distribute them directly to the responsible person (or make him/her take their tasks down in the meeting). Do not rely on people digging for their individual tasks buried somewhere in the meeting minutes. They won’t do it! Again, the I.M.P.A.C.T. formula is a first step in improving your meetings and not the final solution to conduct the perfect, successful meeting. Furthermore, implementing the formula will take time and effort on your side. And, to be honest, you will probably fail in the beginning. Don’t let it get you down. Consider it a learning experience. And at some point, you will be the meeting master, conducting most effective meetings. Since we know changing meeting habits is hard and need constant work, we developed a tool that can help you in the process to successful meetings. It will make it easier and much faster to set an agenda, record decisions and distribute tasks … and a lot more. In a phrase, it will help you to have better, successful meetings with results! You can check out our meeting management tool here. And of course, we would be happy to hear from your experience with the I.M.P.A.C.T. formula in the comments.